The Lord said to his disciples, “You are the light of the world… began our Gospel reading today. That first part, about salt, has puzzled people over the centuries. How can salt ever lose its saltiness? Sodium chloride is a stable chemical compound and does not lose its properties. Many Christians today prefer to ignore science – especially when it disagrees with their politics – so perhaps they can be excused for not thinking in terms of NaCl. 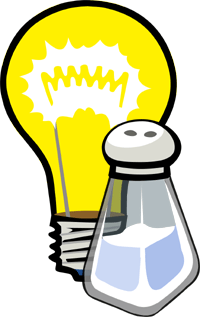 But doing a little research I discovered this: In the ancient world what was often sold as salt was highly adulterated and the sodium chloride could leach out in humid weather, in which case the residue would be useless. Another similar possibility is raised by F. Perles in “La Parabole du Sel sourd” – salt produced by natural evaporation on the shores of the Dead Sea is never pure; when dampness decomposes it, the residue is useless. Is this what Jesus had in mind? I doubt it. Jesus uses salt as a metaphor for the disciples. Adulterated, impure salt has no choice but to lose its saltiness. 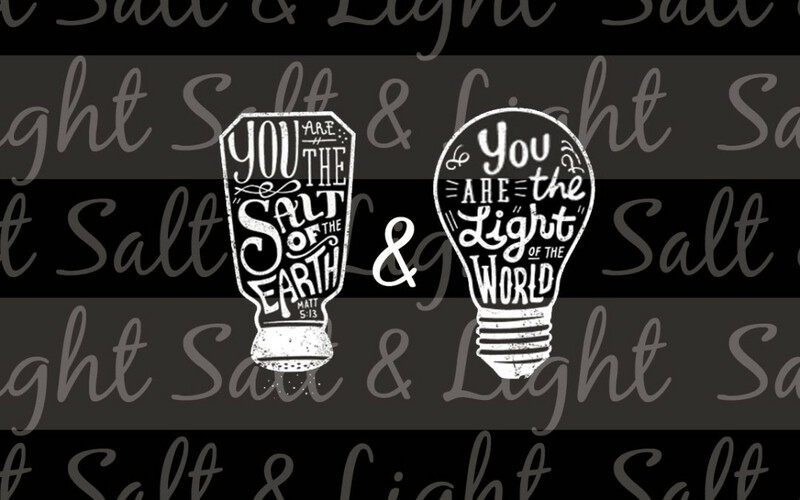 Disciples have a choice whether they will be salt of the earth and light of the world. So there may be something else going on here. ἐὰν δὲ τὸ ἅλας μωρανθῇ. The verbs μωραίνω or μωραίνομαι mean “to make foolish” or “to become foolish,” and derive from μωρία, foolishness. There is no precedent in classical Greek for a meaning relating to salt. In my large Liddell and Scott Lexicon, the only meanings relate to foolishness. So the salt connection seems to be exclusively a result of what Jesus says in Matthew 5:13. But we should also remember that Jesus spoke Aramaic, and what we have in the Gospels are Greek translations of what Jesus spoke or what the Evangelists believe Jesus spoke or meant. Perhaps something got lost in translation. Often in the New Testament we encounter the adjective μωρός to describe various people as fools, unwise, lacking in understanding. So is Jesus warning his disciples not to become foolish, and thus useless? You are the salt of the earth – τὸ ἅλας τῆς γῆς. Perhaps it makes more sense to translate, “You are salt for the earth/soil, and if you the salt become foolish/useless how can it [the earth, the soil] be made salty again?” There is a lot going on in this little metaphor. I don’t think Jesus was too concerned with the preservative quality of salt. He didn’t come to preserve the world from spoiling; he came to give the world life, dynamic life! Perhaps he was more interested in the stimulating properties of salt as fertilizer. That makes more sense. Jesus came to bring life, life abundant, life overflowing! And thus it connects with what follows: You are the light of the world. Or perhaps better translated as, “You are light for the world”! Just as salt cannot lose its saltiness, so also a city on a hill cannot be hidden. Our light as disciples of Christ should shine; it cannot be hidden or put out. Unless we become fools, like salt that is not salty. “Let your light so shine before men, that they may see your good works and give glory to your Father who is in heaven.” Notice how Jesus concludes these statements: We are salt and we are light for the world, so the world will give glory to God! Not to us. We become foolish, we lose our salt, we dim our light, when we seek glory and praise for ourselves. There is no salvation in that. When we receive the praise, we are not guiding the world to salvation. We are only attracting attention and praise to ourselves, to our egos. Dear friends, we are here for the world. And we will not convince the world by words, but by deeds, “that they may see your good works and give glory to your Father who is in heaven.” Salt does not draw attention to itself – unless you overdo it – it simply enriches the taste. A light bulb does not draw attention to itself – it simply lights the path. We are here to enrich the world and to light the path for Christ. Not to draw attention to ourselves. Categories: Sermons | Tags: light of the world, salt of the earth | Permalink.